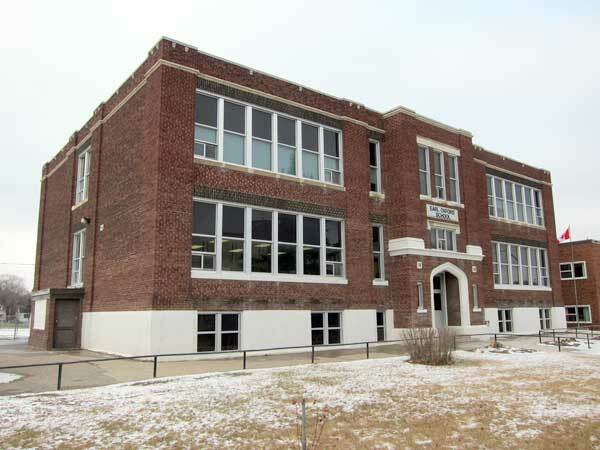 Earl Oxford School was built in Brandon in 1928, at the intersection of Eighteenth Street and Victoria Avenue. 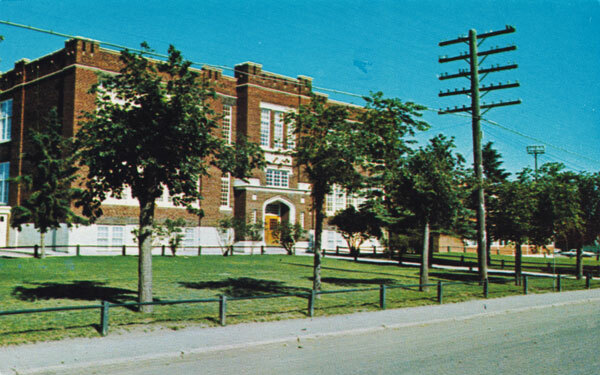 Among the other teachers of Earl Oxford School were Robert J. Coates, Mrs. L. R. Sutherland (1965-1966), and Lawrence Dyrkacz (1966-1967). Source: Archives of Manitoba, George Harris Fonds, Acc. 1979-141, P7456, Album 4, Page 65. “List of teachers public school,” Brandon Daily Sun, 1 September 1930. 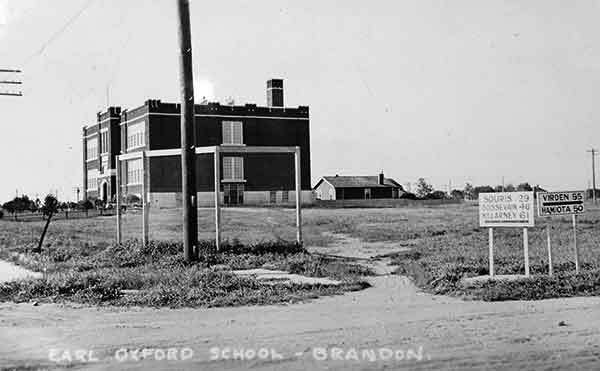 “All schools to open Monday for fall term here,” Brandon Daily Sun, 27 August 1931. “One addition only to city schools staff,” Brandon Daily Sun, 30 August 1932. “Some changes on teaching staff of public schools,” Brandon Daily Sun, 31 August 1934. “Schools to open Tuesday for fall term in city,” Brandon Daily Sun, 31 August 1935. “Few changes in teaching staff as all schools in city open Monday morning,” Brandon Daily Sun, 29 August 1936. “Five new teachers on staff of Brandon schools for fall term commencing next week,” Brandon Daily Sun, 27 August 1937. “Teaching staff public school,” Brandon Daily Sun, 30 August 1938. “Schools staff public schools,” Brandon Daily Sun, 2 September 1939. “Seven changes on teaching staff of the public schools,” Brandon Daily Sun, 28 September 1940. “Important changes made in teaching staff for opening schools here Tuesday,” Brandon Daily Sun, 27 August 1941. “Elementary and junior high schools open tomorrow for fall term after long holidays,” Brandon Daily Sun, 26 August 1942. “Eleven new teachers on staff as schools prepare to open for fall term commencing Monday,” Brandon Daily Sun, 28 August 1943. We thank Tim Dekker, Greg Sigurdson, and Catherine Harley for providing additional information used here.